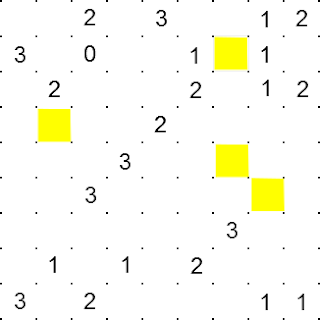 3) These yellow cells should be outside the closed loop. The following puzzle will clarify the rules properly. This one is the first puzzle so it is Easy one!! I have not yet decided the name of this variant. One small tip - In a slitherlink puzzle especially, since I'm going to use the edges for the loop, I'd like some half a cell width of white space there. Else it gets a bit confusing. You can see my slitherlinks for what I mean.